January | 2014 | Not Your Average Hockey Blog. 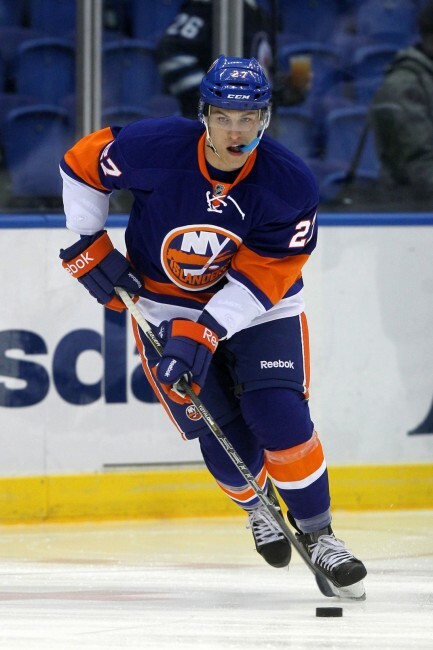 We recently caught up with Bridgeport Sound Tigers’ Anders Lee! He was drafted in the 6th Round (152nd Overall) in 2009 by the New York Islanders. He took the NCAA route after being drafted by playing at Notre Dame for three years before being pro. He has played two NHL games so far, but he already has a goal. He got the goal in his first game, in his first shot attempt! I’m not going to spoil it too much, as we talk about it during the interview. Just an interesting fact, before college, Anders was a standout baseball and football player along with being a hockey star. You can follow Anders on Twitter @Leeberr09, and you can follow me on Twitter @HkyBlogger. If you like our stuff, make sure to share it with your friends and “like” us here: https://www.facebook.com/notyouraveragehockeyblog. With Russia being the host of the 2014 Winter Olympics expectations are running high for the team. Expectations should be high for this team. Having the likes of Alex Ovechkin, Evgeni Malkin, Andrei Markov , Pavel Datsyuk and many other amazing players . But other than the all stars that crowd the lineup there are some other reasons that make Russia a deadly team and a favorite for gold. But first here is the lineup. Russia has a lethal offense and is best known for it. Of course you have the likes of the all stars like: Malkin, Ovechkin, Kovalchuk, Datsyuk and to name a few. Then you have other NHL players that fly under the radar like Nikolai Kulemin, Vladimir Tarasenko and Artem Anisimov . All of those players are good players. Now all of us in North America know how dangerous the NHL players are but how about the KHL players? They have the potential to be even more deadly than some of the NHL players. But one player as a Team Canada fan that I am scared of the most in the forward core is: Ilya Kovalchuk. Now a lot of you might be thinking, What? The guy that quit on the NHL? How is he one of the most dangerous players on their team? Well let me answer those questions for you guys. Ilya Kovalchuk did leave the NHL to go play in his home country. Now they are using the same types of rinks that they use in the KHL for the Winter Olympics. Now every KHL player on that team is comfortable with this ice surface, they know how fast they have to go and they know how to get around it. Meanwhile NHL and North American players are used to smaller rinks and using different amounts of speed since it’s a smaller surface. Bigger ice surface = More need for speed and endurance. Not only does Kovalchuk have that knowledge of the ice surface and how fast he needs to go, but at the same time he has NHL experience that is always an advantage. Now put his experience for playing for both leagues (KHL and NHL) and put it together and you have a player that know how a lot of the players in the tournament play and a player that is comfortable playing on the big ice surface. Thus you have the Kovalchuk theory. Some side notes for the offense is more players that follow the Kovalchuk theory. Probably the only player to be more dangerous than Kovalchuk is Evgeni Malkin. You have the player that won the Ted Lindsay, Art Ross and Hart trophy only a few season ago. Not to mention he has be amazing for the penguins this year. On top of his amazing NHL performance he also has experience playing on the big ice surface like Kovalchuk. Malkin played on Metallurg Magnitogorsk in the KHL during the lockout on a line with Nikolai Kulemin (who I’ll get to in a second) and was pretty good. Malkin had 23 goals in 37 games and had 58 points all together. That is just mind blowing but then again it’s Malkin. Another side note is Nick Kulemin. I am going to keep it brief with him, but as a leafs fan I find that Kulemin has gone from a goal scorer into a defensive minded forward. But for some reason he seems to perform better offensively on that big ice surface in Russia. I find it amazing that he can change so much as a player on a different ice surface (or maybe it’s just that he’s playing in his home country) but whatever it is it’s great for Russia and their chances of winning. Russia has a great defensive core, but not the best. Now any team with the duo of Andrei Markov and Alexi Emelin is doing pretty good on defense already. Then you add Slava Voynov and Nikita Nikitin and your lineup is looking pretty good. Of course not to exclude the KHL players, Medvedev has won a gold medal at the World Championships and has a decent plus minus. Ilya Nikulin is a much better player and is NHL worthy looking at his International Stats. He has 26 points in 66 games, success wise Nikulin has three gold medals, two silver medals and one bronze. All of them coming in the World Championships though so you never know, because the Olympics and the World Championships are different. But I can’t say for the other players since I haven’t see a lot for the other player but I can only assume that they are just as good. Bobrovsky being the reining Vezina Trophy winner he is an obvious pick. Varlamov (in my opinion) he should be number two but he get’s number three instead. Bobrovsky has been decent, not amazing but not terrible. Their goal tending might be their weakest link of their entire lineup. Bobrovsky being a risky and being the definite starter but not the same form he has been in his Vezina season (beating out Martin Brodeur). Most Olympic teams have either a sure number one/all star goalie or two goalies that are amazing or just flat out phenomenal. Canada has Price and Luongo, Sweden has Lundqvist, USA has Miller and Quick, the Czech Republic are going to have to rely on Ondrej Pavelec and so on. This may be a weak spot but with Russia’s dynamite offense and experienced defense this might not be a huge problem but will be a weak spot. But you never know, Bobrovsky could be lights out or their KHL goalie Eremenko could be the guy. But all teams, espically in the Olympics, need good goal tending to survive. A side note is the rink, maybe Eremenko could give the Russians an edge with puck movement/ puck control goalie wise. If Eremenko know the rinks the way Luongo knew the rink back in Vancouver (playing for the Canucks and playing in the Rogers center for a lot of his carrier) maybe the same will apply for the Russians. Some big ones are Alex Semin, Sergi Gonchar, Anton Volchenkov and youngster Nail Yakupov. Now I thought Gonchar was going to be a sure thing, his veteran present and leadership alongside Markov would make a great defense. Obviously I was wrong! Volchenkov and Yakupov were bubble players for me. Volchenkov’s play has been sub-par these past few years. Meanwhile Yakupov has been absolutely terrible for the disappointing Oliers. Yakupov would be a last second decision for me, his play just hasn’t been that good for Olympic standers. But for next Olympics I see Yak making it but for now he needs some development and Dallas Eakins will do that (used to be in Toronto.) Semin was a bubble player but I thought he would make it knowing that he used to have chemistry with Alex Ovechkin. But I guess that wasn’t enough for him. Russia is a medal favorite for me, with the home ice advantage throughout the tournament and the “Kovalchuk theory” many already crazy good players get even more deadly. I predict that Russia will get either a Bronze or a Silver on home soil. I expect great things from this over powered team but just not gold. Not with that goal tending. But hey maybe they will surprise me with a Gold Medal. It’s possible, Canada did it back in Vancouver maybe Russia can do it in Sochi? Who know will find out in February! Slovakia: the right mix of Olympic veterans and Olympic rookies? While the question with other teams is “Do we have the right mix of talent” The question with the Slovakian team “Is do we have enough talent?” The talent bank of the Slovaks is nowhere near the caliber of most of the other teams especially if someone gets injured. With that being said, if they can stay healthy and the goaltenders get hot, they might have a chance to medal. With this mix of Olympic veterans and Olympic rookies, things could get interesting. Since the talent level on the Slovakian team isn’t as deep as some other teams the goalies will need to fill in most of that gap. Jaraslov Halak should be the starter as he was the starter for the last Olympics. He has played 29 games for the St. Louis Blues with a GAA of 2.31 and a save percentage of .911. Peter Budaj should be the number two goalie over Jan Laco because of his NHL experience. He has been a solid number 2 goalie for the Montreal Canadians. He has played 11 games with a GAA of 2.14 and a save percentage of .920. Jan Luco has World Championship experience which could prove valuable if he is needed. He currently plays for Donbass HC and has a 1.72 GAA and a .926 save percentage in 7 games. On defense, Zdeno Chara is going to be their saving grace. He has 9 goals and 9 assists in 43 games with a +4. Almost everyone knows what a beast he is defensively for the Boston Bruins. He is one of the most experienced Olympians on the team with this being his 3rd. Lubomir Visnosky, who also is going to be I his 3rd Olympics is a valuable asset with 3 points in 8 games for a +3. He is a big question mark because he is recovering from a concussion and may not be ready in time. This is also the third Olympics for Andrej Mezsaros. He recently has been dealing shoulder problems, but now that he is healthy he could take some of the pressure off of Chara. He has a goal and 7 assists in 24 games with a +3. Although he has only played one NHL game, because this will be his 2nd trip to the Olympics, Ivan Baranka completes the veteran core on defense. He has a goal and 14 assists in 41 games with a +1 for Omsk Avangard. Andrej Skera is the only Olympic rookie on defense to have significant NHL experience. He is +2 with 7 goals and 17 assists in 43 games for the Carolina Hurricanes. Martin Marincin has played 9 games for the Edmonton Oilers. He has 3 goals and 4 assists for a +5. Dominic Granak currently plays for Dynamo Moscow and has 5 goals and 6 assists in 31 games for a +11. Michal Seren is a big question mark. He is currently injured. He has 14 points in 33 games for Slovan Bratislava, but he is at -5. Look for the coach of the Slovakian team to match Olympic rookies with Olympic veterans on defense to keep things balanced. Thankfully, the offense has plenty of Olympic experience. The most seasoned Olympian is Michal Handzus. This season with Chicago he has 4 goals and 6 assists in 29 games. Then you have Handzus’s teammate Marian Hossa. Hossa scored 9 goals in Vancouver and has won two Stanley Cups. He currently has 15 goals and 20 assists in 41 games. Marian’s younger brother Marcel is also on the team. He is a two time Olympian and has 61 points in 237 NHL games. He currently plays for Dinamo Riga and has 20 goals and 17 assists. Tomas Kopecky has also won a Stanley Cup with Chicago, although he now plays for the Florida Panthers and this will be his second Olympics. He has 4 goals and 5 assists in 38 games. When Marian Gaborik is not injured he is great. He has 12 points in 18 games for the Columbus Blue Jackets, but he has played less than half the games in a single season for each of the last 3 seasons. He is currently injured and remains questionable for the Olympics. This will be his third time in the Olympics. The rest of the forwards are 1st time Olympians. Milian Bartovic played 6 seasons in NHL/AHL before going back to Europe where he has remained since 2006. Tomas Surovy has played 126 games in Pittsburgh, but is currently playing for Minsk Dynamo. He has 6 goals and 11 assists in 39 games. Tomas Tatar has played 36 games this season for the Detroit Red Wings. In that time he has 9 goals and 8 assists. Richard Panik has 2 goals and 9 assists in 36 for the Tampa Bay Lightning. Michal Miklik currently has 11 goals and 18 assists in 42 games for Bratislava Slovan. Tomas Jurco had 2 goals and an assist in 7 games for Detroit, but had 12 goals and 18 assists in 31 games for the Grand Rapids Griffins. Tomas Zaborsky currently plays in the KHL and has 5 goals and 4 assists in 24 games. Tomas Marcinko had 11 goals and 20 assists in 38 games for Kosice HC before being traded to MODO Hockey Ornskoldsvik. Peter Olvecky played 32 games in the NHL and had 2 goals and 5 assists. For the first time Olympians, the excitement matches nothing else they have ever experienced. This excitement could fuel a “nothing to lose” attitude. The pressure to perform is not there compared to the pressure that the Canadians, Russians and Americans face. This could lead to outstanding plays by the Olympic rookies, but it can also lead to carelessness. This is where the veterans come in. The veterans know how to handle the excitement of Olympics and can temper the excitement of the rookies. This combination could prove to be a winning one. Of course this team is missing someone special in Pavol Demitra who was killed in the Lokomotiv Yaroslavl plane crash. His spirit could provide extra drive for the Slovaks to win. Quick Notes: All players on Team USA currently play in the NHL. Also, all players are very good players and deserving of Olympic spots. As a result, I have included players who were snubbed, but will not discuss which players would have been left off of the roster. This top line should be able to cause havoc for opponents on both ends of the ice. Kesler has continually been one of the best two way forwards, highlighted by his Selke trophy in 2011. Though very different styles, Parise and Kane are both elite goal scorers and rise to the occasion when the game is on the line. Currently holding the 2nd position in points this season, only behind Sidney Crosby, Kane has taken his game to a higher level. The second line could be the most important piece of this team. This season, Kessel and JVR had a hot start. Their chemistry was very strong and the points were piling up. Recently, the Leafs have been struggling and their duo’s production has slowed down. Their scoring is streaky and they will need to catch fire. Pavelski is a very skilled playmaker to complement these wingers. This line looks to have a high ceiling of potential. To win games, it is essential this line provides the necessary secondary scoring. This third line has everything any coach desires. They’re three great leaders, team captains, who play a hard-nose and aggressive style. Whether it’s throwing a hit, blocking a shot or going into a corner, this line will be a nuisance to opponents. Their style is annoying to play against and they will get under the skin of their opponents. The fourth line is very interchangeable. I could see the extras being moved in and out of this line. These are versatile players who will serve different roles. Stepan and Oshie have been very good penalty killers for their NHL teams. Suter and Shattenkirk are very different players that complement each other very well. Suter is a defensive minded blueliner who logs the most average ice time in the NHL. Shattenkirk is an offensive minded defenseman who has improved his overall game this year to show his ability to play in a top role. McDonagh and Orpik would be a match made in heaven to shut down any scoring line. Both have proved with their respective clubs that they can slow down any opponent. This would be a great pair to throw at the top line of any Olympic opponent and cause continual chaos. McDonagh has progressively added a strong offensive game as well. The last four defensemen are players that could be interchangeable, maybe even crack the top four, but I expect them to rotate spots between games. They are all very skilled and good puck-handling players. My prediction is this order will be their depth chart position to start the Olympics. With Quick recently returning from injury, his play over the next month will determine whether or not he starts. Even though Miller was phenomenal in the 2010 Vancouver games, Quick has established himself as the best American goalie over the last few years. Howard struggled to start this season, but has been consistently good over the last couple years and has been picking up his game since returning from injury. I was very surprised to see Ryan left off of the roster. Ryan is an elite player who knows how to find the back of the net. Excluding the shortened season last year, Ryan has notched more than 30 goals each season of his career. In the shortened season, he was on track to hit the mark again. This season, he has 18 through 45 games which would put him on pace to eclipse the total again. His abilities outside of scoring were questioned by the committee choosing the team. He didn’t seem to fit in the lineup if he wasn’t a top 6 forward. His abilities outside of scoring are very debatable, including his skating ability on the larger ice surface. The Ryan supporters will be out for blood if Team USA struggles to find goals without Ryan. A defenseman that I was surprised to see left off of the roster. He is a player that I thought would excel with the larger ice surface. He is a great skater and moves the puck extremely well. He is exceptionally good with the first pass and moving his unit out of the zone. Also, he continually racks up points, including 28 through 43 games this year. A dark horse who wasn’t talked about much or included in projected rosters. He broke out toward the latter part of last season and played exceptional in the playoffs. After working hard this summer with line mate John Tavares, Okposo has taken his game to an elite level. He is currently 14th in the league with 44 points through 43 games and 3rd among Americans behind only Patrick Kane and Joe Pavelski. Also, Okposo played on a larger ice surface at University of Minnesota and excelled. Though he may have been late to the party concerning his elite status, I feel he would have been a nice fit on this roster. Being an American, my heart tells me the Americans have a good balance and have the ability to be in the gold medal game like in Vancouver last Olympics. Their roster has good speed and players to fulfill all the needed roles. My hockey sense and experience tells me this team will fall a little short. They will be lucky to win the bronze. As I look deeper into the roster, it seems this team was too forced together. They tried too hard to select the “right” players and passed on some of the best players. For the Americans to reach their potential, all the roles must come together and create a strong chemistry. It may be difficult to find this chemistry with such a short tournament. 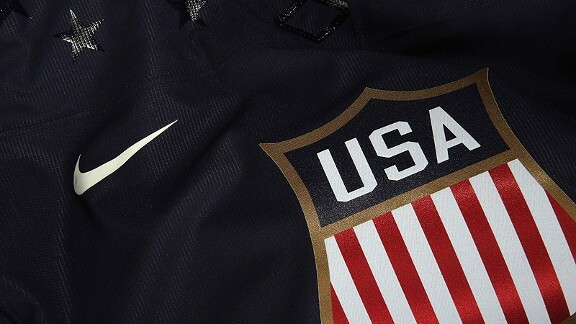 My final prediction is Canada over Sweden 4-2 in the gold medal game and USA beats Russia 3-2 for the bronze. The year started on a positive note for Finland with a surprising gold medal win by their national junior team at the 2014 World Junior Hockey Championship last Sunday. The last time Finland had won the gold at the WJHC was in 1998. The Finnish Hockey Federation must have done something right in the last 5 years to elevate their young players to this feat. A few minutes before Finland won the World Junior Championship, Jussi Jokinen told Sporting News he was expecting an infusion of younger players into the country’s international program and tournaments. Was he ever right. On Tuesday the Finns released their Olympic roster, which features a few of those younger guys such as NHLers Aleksander Barkov, Olli Maatta, Mikael Granlund and Sami Vatanen who were all born in the 1990s. Finland won bronze in 2010 but many of its best players are close to the end of their careers. This is a period of transition for Finland. To sum it up, the old guard is still there and the young studs are in. Problem: Mikko Koivu sustained a broken ankle during a game on January 4 although he did finish the game. He had surgery on Monday and is expected to be out for one month. This injury puts his ability to play for Finland in the 2014 Sochi Olympics in jeopardy. He was a favorite to be named captain for his country. In the meantime his brother, Anaheim Ducks center Saku Koivu, reportedly has declined an invitation to participate in his fifth Olympics. Also not on the roster: Nashville Predators goalie Pekka Rinne, who’s dealing with the aftereffects of an infection in his surgically repaired hip. Finland will have to make due with Tuukka Rask as its presumed starter. Not too bad. It could be worse. What to expect from the team in Sochi? The good: Well for one the Finns usually play a well structured game and they are used to the larger ice surface. A huge factor considering that both Canada ans USA did not have success outside of North America at the Winter Games and neither during the last WJC in Sweden. The Finns have good goaltending in Rask who is familiar with the best players in the World. As far as scoring is concerned I believe they have what it takes to score important goals and compete but to a certain extent. Selanne, perhaps ignited by a last representation of his country, could make things happen despite his age. NHL rookie Barkov should be doing great at these games. You almost forget he is only 18. Finally, the Finns are known to be a disciplined team so they are not vulnerable to power plays situation too often. This is not an emotional team like Canada, USA or Russia at some point. When you watch Finland you know pretty much what type of hockey to expect. However they are tenacious and never easy to play against. The not too good: The group of defencemen may be the weakest one of all top teams at the Olympics. Some of them are on their way out. Some others are just coming in and others well we don’t know much about them. This is not usually a good combination. Timonen excels on the PK and PP. I expect him to patrol the blue line. It is more at even strength that the weaknesses of their defensive corps will show and against scoring teams the Finns will struggle unless they get a brick wall in Tuuska Rask. Special units: With Saku Koivu missing and possibly his brother as well, these are two players who could have helped on both special units. Especially Mikko. On the penalty killing there will be veterans on the ice for most of the time so the Finns are fairly okay since they avoid the box. The less opportunities for the opponent team the better. But on the power play unit the chemistry fails. It is a result of the transition this team is going through. A difficult tournament especially at even strength with a weak defense and younger players involved at the back and front. If Rask makes miracles they can win but by low scores. If Mikko Koivu is due back around the first week of February he may be cleared to play and get better as the games will add that is if the Minnesota Wild does not object to that. One can not underestimate them however and my take is that they will end up playing for the bronze. Not so much because they are a such a powerhouse but because some other teams are not that strong. They’re practically guaranteed to be in the medal round given that they and Canada are in a lopsided pool with Austria and Norway. So a second consecutive bronze medal isn’t out of the question here. Selanne will be just the second player in history to participate in six Olympic Games, having previously represented Finland at Albertville 1992, Nagano 1998, Salt Lake City 2002, Torino 2006 and Vancouver 2010. Kimmo TImonen will play at the Games for a 5th time. Finland is the only country to medal in three of the four tournaments since the NHL began taking a break from its schedule to allow players to participate in 1998. Finland won bronze in 2010. Finland will join Austria, Canada and Norway in Group B in Sochi. As always, Team Canada will get the most hype this year, but a team that seems to be the next favorite to win gold in Sochi is Sweden. At first look the team may seem like some washed up former all-stars, but when the team is dismantled and analyzed for what it truly is, you find yourself a star-studded lineup. Let’s take a look at all the positions. Henrik Sedin: One of the best dishmasters in the NHL; he will be the lead maestro in creating plays for this team. An advantage he has is that he will be playing with his twin. Nicklas Backstrom: Perhaps one of the more underrated centers in the league; at the halfway point of the season he is on pace for 92 points. His assist numbers are triple his scoring numbers making him a fantastic playmaker. Alex Steen (Can play LW): Took the league by storm this year, showing his phenomenal scoring ability. On pace for 48 goals in the season; he is one of the many snipers on this team. Patrik Berglund (Can play LW): He will probably center Alex Steen, given their chemistry. Great at taking faceoffs and moving the puck. Ideal depth player for an Olympic team. Marcus Kruger: At the age of 23, this young gun already has 2 Stanley Cups under his belt, and is still continuing to improve. His growth speed is undoubtedly faster than usual because he is playing for the powerhouse Blackhawks. Probably won’t get too much playing time if any during the Olympics, but the experience will surely contribute in his growth. Daniel Sedin: Scores the goals off his brother’s assists. He is yet another of the top marksmen on this team. Loui Eriksson: Might not perform like usual due to the recent concussion that he suffered, but will be dressed for the Olympics. His goal scoring is a great addition. Henrik Zetterberg: The Powerhorse was named Captain of this team. Given his well-rounded play style (ability to both score and produce) and experience, he is probably the most deserving of the C. He can potentially lead this team to the finals. Gabriel Landeskog: The 2012 Rookie of the Year, and the youngest NHL team captain in history, will be an interesting addition to this more experienced team. Can he use this as a learning experience? Carl Hagelin: One of the better defensive forwards in the league. He’s also ideal at finding the back of the net. Might not get too much playing time. Johan Franzen: Injuries may appear to keep him behind, but his chemistry with captain Henrik Zetterberg, Daniel Alfredsson, Niklas Kronwall, and Jonathan Eriksson will make up for it. Jakob Silfverberg: This guy is highly regarded as one of the top scorers in the future of the NHL. Not only does he have spot-on accuracy, but he is incredibly fast and can play like a power forward. Interesting to see how he performs in a team full of veterans. Daniel Alfredsson: In his final Olympic games, can he push himself to win gold? He’s putting on a spectacular season so far in the NHL, on pace for 60 points, which is great given his age and playing time. Jimmie Ericsson: The only non-NHL player on this team. Don’t be mistaken; this does not mean he isn’t a good player. He is actually a very versatile two-way forward and has the advantage of playing alongside his brother Jonathan Ericsson. However, he will most likely get minimal minutes. Erik Karlsson: This Norris Trophy winner is inarguably the star of the blue-line on this team. The reason why he will have an impact is self-explanatory. Niklas Kronwall: Yet another Red Wings player on this team, and he is notorious for his seismic hits that flat out make players leave on stretchers. Great at shutting down the opposition. Jonathan Ericsson: Double the advantage for him because he has double the chemistry due to the fact that he is playing with a bunch of his teammates from Detroit and his brother Jimmie. Very agile and moves the puck quick. Oliver Ekman-Larsson: Regarded to be a future Norris Trophy winner, this young defender is perhaps one of the best stick handling blue liners in the NHL today. Niklas Hjalmarsson: With 2 rings, he is ready to add a gold medal to his collection of championships. I think he will fit right in with the star studded atmosphere, just like he does in Chicago. Great depth on the blue line. Alexander Edler: One of the top shut down defenders in the NHL. He can also put the puck in the back of the net. Johnny Oduya: Back when he was just starting out his tenure with the NHL, he wasn’t expected to be the tough defensive defenceman that he is today. Recently won the Stanley Cup with the Blackhawks. Henrik Tallinder: Although he will not get too much ice time, his veteran presence will make this team’s experience rating beyond 100%. Henrik Lundqvist: Will start most if not all the games. He is one of the most solid goalies in the hockey world and will stand tall in all the games that he will play in the Olympics. Jonas Gustavsson: Has proven to be a more than decent back-up and sometimes starter within the last couple of years. Some may call him streaky, because he goes on good run of shutouts and high save percentages and suddenly drops into a bad stretch of games, but more often than not, he isn’t anything but solid. Jhonas Enroth: The shortest goalie in the NHL will probably not get any starts or even ice time unless they are ahead by 5 and it is the last minute, they might throw him in for the experience it gives him. He’s still developing as a back-up and is projected to be Buffalo’s future starting goalie do to his athletic style of play. Personal Opinion: I believe this team has a star studded lineup and will probably be the oldest and most experienced team in the Olympics. The Olympics are much like the Playoffs, where the veterans strive for greatness. I predict this team to make a run for Gold but come up short to Team Canada, and win Silver.